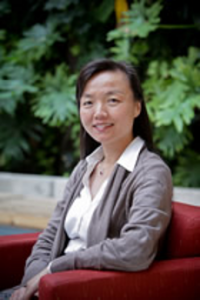 Dr. Shijing Xu is Associate Professor at the Faculty of Education, University of Windsor, Canada. She is co-directing the Canada-China Reciprocal Learning Project with Dr. Michael Connelly, a 9-institution partnership funded by the Partnership Grant of Social Science and Humanities Research Council of Canada (SSHRC). Dr. Xu’s research interests focus on narrative approaches to intergenerational, bilingual and multicultural education issues and school-family-community connections in cross-cultural curriculum studies and teacher education. Her current research is on the Reciprocal Learning between the East and West. 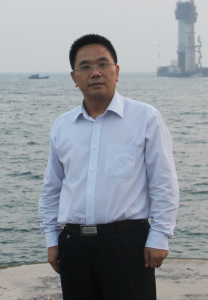 Dr. Xu has held several SSHRC-funded projects (PI, on Transnational circular migration and reciprocal learning (2008-2012) and Co-PI of the Canada-China sister school network project (2009-2013). She has coordinated the Teacher Education Reciprocal Learning Program between University of Windsor and Southwest University China, funded by the University of Windsor Strategic Priority Fund and supported by Southwest University China, in partnership with the Greater Essex County District School Board. 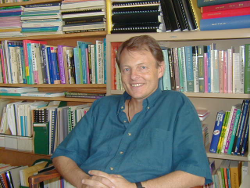 Dr. Michael Connelly is Professor Emeritus, Ontario Institute for Studies in Education. He was Director of the Canada Project, Second International Science Study, International; Association for the Evaluation of Student Achievement, and Director of the Hong Kong Institute of Education/OISE/UT doctoral program. He wrote policy papers for the Science Teachers Association of Ontario, the Ontario Teachers Federation, the Ontario Ministry of Education, the Government of Egypt, the Queensland Education Authority, UNICEF, the World Bank, and The League of Arab States. He co-drafted the terms of reference for the Egyptian Professional Academy of Teachers, and was UNICEF consultant to The League of Arab States on pan-Arab teacher education and curriculum development. With Shijing Xu he is co-director of the Social Sciences and Humanities Research Council of Canada project “Reciprocal learning in teacher education and school education between Canada and China”. 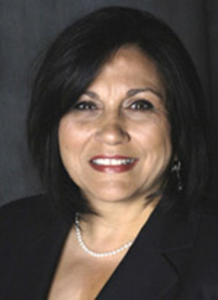 Cheryl J. Craig, Ph.D., is a Professor in the Department of Curriculum and Instruction, College of Education, University of Houston, where she is the Coordinator of Teaching and Teacher Education. Her research niche focuses on the influence of context on teachers’ knowledge developments, their communities of knowing and their curriculum making. She is a co-editor of the Association of Teacher Educator Yearbook, Executive Editor of Teachers and Teaching: Theory and Practice and an Associate Editor of Reflective Practice. Craig’s research regularly appears in the field’s most esteemed journals. 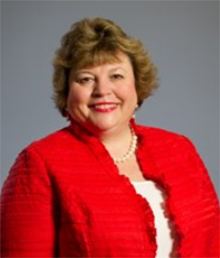 In 2011, she was named an American Educational Research Association Fellow. In 2012, she received the Lifetime Achievement Award from Division B (Curriculum Studies), American Educational Research Association. 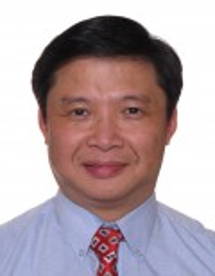 Zongyi Deng (PhD, Michigan State University) is an associate professor at National Institute of Education, Nanyang Technological University, Singapore. A former associate professor at the University of Hong Kong (HKU), he is currently an honorary research associate with Wah Ching Centre of Research on Education in China, HKU. He is also an executive editor of Journal of Curriculum Studies (JCS), and has recently edited two special issues for JCS with the support of Ian Westbury: The Practical, Curriculum, Theory and Practice (2013) and Confucianism, Modernization and Chinese Pedagogy (Part 2) (2014, forthcoming). His latest publication is Globalization and the Singapore Curriculum: From Policy to Classroom (with S. Gopinathan and Christine Lee; Springer, 2014). 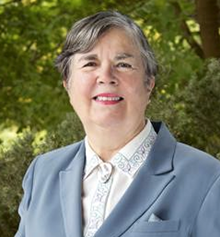 Ruth Hayhoe is a professor at the Ontario Institute for Studies in Education of the University of Toronto. Her professional engagements in Asia have spanned 30 years, including foreign expert at Fudan University (1980-1982), Head of the Cultural Section of the Canadian Embassy in Beijing (1989-1991) and Director of the Hong Kong Institute of Education (1997-2002). Her recent books include Portraits of 21st Century Chinese Universities: In the Move to Mass Higher Education (2011) and Portraits of Influential Chinese Educators (2006). Honors include Honorary Fellow (University of London Institute of Education 1998), Silver Bauhinia Star (Hong Kong SAR Gov’t 2002), Commandeur dans l’ordre des Palmes Académiques (Gov’t of France 2002), Honorary Fellow (CIES 2011) and C J Koh Professor (NIE Singapore 2012). 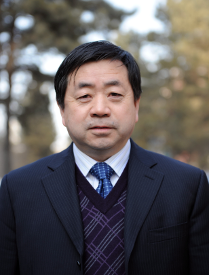 Professor Wu Zongjie is Director of Institute of Cross-Cultural Studies, Zhejiang University, coordinating the research cluster in education and curriculum study. His work is also associated with the Centre for Intangible Cultural Heritage Studies. Wu’s research cuts across multiple disciplines with a focus on cross-cultural discourses. Recently he has been looking beyond institutionalized schooling to seek for Confucian meanings of the learning embedded in pedagogical ritual space. The result of the research was published across various disciplines, especially in education, discourse study, anthropology, heritage study, history, and communication. His transdisciplinary inquiry treats pedagogy as the core to explore the meanings of cultural life. He has collaborated on many heritage related projects, and currently is working as a World Bank consultant for Shandong Confucius Cultural Heritage Conservation Project. Wu’s research has been published in high-profile journals and internationally recognized books. 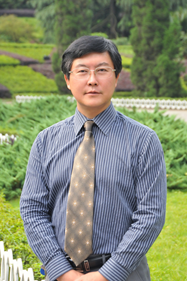 Shijian Chen is a Professor in the Faculty of Education, and Vice-President of Southwest University, China. He is also Vice President of the Comparative Education Branch of the Chinese Society of Education; Director of the Education Research Association of the Chinese Society of Education; Standing Director of the Professional Curriculum Committee of Education Research Association of the Chinese Society of Education, and Standing Director of the Education Management Branch of the Chinese Association of Higher Education. Chen won the First Prize for “Integrating Academic Culture and Grass-roots Practice; Innovation in the Undergraduate Mode,” a Chongqing Teaching Achievement Award (2009); Second Prize for “Constructing Academic Cultural System and Grass-roots Practice Mode: Pioneering New Ways to Develop College Students’ Innovative Spirit and Practical Ability”, a National Teaching Achievement Award (2009); Third Prize for “Research on School Educational Reform and Teachers’ Adaptation”, an Outstanding Achievement in the Humanities and Social Sciences of the Ministry of Education(2009). Jim Cummins is a Canada Research Chair in the Department of Curriculum, Teaching and Learning of OISE/University of Toronto. His research focuses on literacy development in multilingual school contexts as well as on school-based strategies for educational improvement. 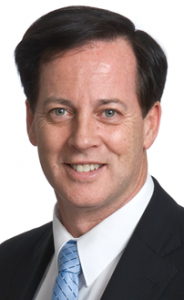 He has served as a consultant on language planning in education to numerous international agencies. His publications include: Negotiating Identities: Education for Empowerment in a Diverse Society (California Association for Bilingual Education, 1996, 2001); Language, Power and Pedagogy: Bilingual Children in the Crossfire (Multilingual Matters, 2000); Literacy, Technology, and Diversity: Teaching for Success in Changing Times (Pearson Education, 2007, with Kristin Brown and Dennis Sayers) and Identity Texts: The Collaborative Creation of Power in Multilingual Schools (Trentham Books 2011, with Margaret Early). Dr. Howitt has been a proud educator for 20 years and has served the role of teacher, elementary administrator, system Principal and now Superintendent. Currently she holds the position of Superintendent of Education, Program and Professional Learning at the Greater Essex County District School Board, Windsor, Ontario, Canada. Her responsibilities include overseeing the operation of Kennedy and Harrow Families of Schools, and leading and supporting system curriculum development and professional learning and leadership toward providing learning opportunities which support, challenge and inspire all learners. Dr. Howitt’s particular areas of interest and expertise include change theory, research and program evaluation, leadership development and cognitive theory. Dr. Howitt is also the proud mother of two daughters, Giorgia, 9, and Caroline, 6. She and her husband Richard enjoy family time and creating wonderful experiences and memories with their children and extended families. Dr. Yibing LIU is a professor of adult & teacher education and the Dean at Teacher Education College of Southwest University. With his doctorate training from both China and Canada, Dr. Liu has established strong academic interests in multicultural and international education research. He has fulfilled many projects sponsored by governmental or non-government organizations, such as Research on Innovative Functional Literacy For Rural Ethnic Minorities in China (the Ford Foundation, US, 2002-2004); Functional Literacy Material Development for Out-of -School Children in China (UNICEF,2002-2003); Bilingual Literacy for Ethnic Group’s Comprehensive Development–A Pilot Project for Lahu Nationality’s Innovative Practices in China (UNESCO,2003); UK-China Southwest Basic Education Project (DFID,UK, 2005-2009); the Comparative Study of Balancing Urban and Rural Education Development in Europe and America (Ministry of Education of China, 2012-2014). 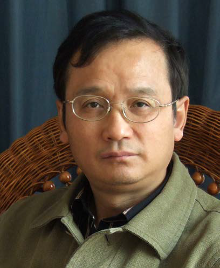 The positions and honors he held include Director of the Training Center for Teachers of Higher Education Institutions in Southwest China, Deputy Director of the National Centre of Research and Training for Literacy Education, and won the National Award for Excellence in Teacher Education Field ( the Ministry of Education of China). His recent publications focus on teacher professional development, teacher education policy, and teacher education curriculum development. Dr. Ma Yunpeng is a professor at the Faculty of Education of Northeast Normal University (NENU). He holds a Ph.D Degree from The Chinese University of Hong Kong (1996-1999). His professional career in education has been more than 30 years, from the Vice Principal of Affiliated School at NENU to professor and the Dean of Faculty of Education of NENU (2000-2012). His main publications include “Teacher Receptivity to System-wide Curriculum Reform in the Initiation Stage: a Chinese Perspective” in Asia Pacific Education (2009). “Chinese Primary School Mathematics Teachers Working in a Centralized Curriculum System: a Case study of Two Primary Schools in North-East China” in Compare (2006). “The Development and Application for Measurement of Teacher Knowledge” in Education Research (2010). “Primary School Mathematics Curriculum and Instruction” by People’s Education Press China (2012). Dr. Douglas McDougall is a Professor of Mathematics Education and Chair in the Department of Curriculum, Teaching and Learning at the Ontario Institute for Studies in Education of the University of Toronto. He conducts research in mathematics education, particularly in school improvement in elementary and secondary school mathematics. He investigates the use of the Ten Dimensions of Mathematics Education framework in assisting principals and teachers to improve mathematics instruction and student achievement. He has written a number of books including “School Mathematics Improvement Leadership Handbook” and “Mathematics every elementary teacher should know”. He is a former president of the Psychology of Mathematics Education, North American Chapter (PME-NA). He has presented in China, North America, Europe and Cuba. 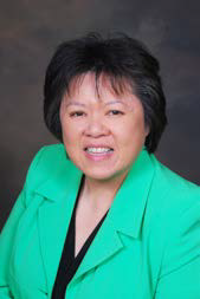 Donna Quan is Director of Education and Secretary-Treasurer of the Toronto District School Board (TDSB). Her leadership guides the district for 260,000 Kindergarten to Grade 12 students and 39,000 full and part-time staff members. Ms. Quan brings 28 years of educational experience to her current role. Donna has held a number of senior positions within the TDSB, including Deputy Director Academic with responsibilities for Equity & Inclusive Schools, Teaching & Learning, Special Education, Professional Support Services, Organizational Development & Research, Caring and Safe Schools, Alternative Programs, School Improvement and Inner City Programming. In the year ahead, Donna’s Years of Action plan includes working with all senior staff across the district to strengthen policies and programs in support of improving societal and life outcomes for all students, which includes emotional, intellectual and physical health and well-being, academic achievement, gender and lifestyle equality, along with peace and human security and environmental health. Dr. Geri Salinitri is an Associate Professor and Acting Associate Dean of the Faculty of Education, University of Windsor. Prior to joining UW, she was a science teacher and counselor in a secondary school for 27 years. During that time, she received two teaching awards, one at the provincial level and one at the national level — the Prime Minister’s Award for Teaching Excellence in Science, Mathematics, and Technology and the Chemical Institute of Canada’s, Bayer Rubber Award for Teaching Excellence in High School Chemistry. Dr. Salinitri’s major works include: Investigating Teacher Candidates’ Mentoring of Students At risk of Academic Failure: An Experiential Field Model (This program is one of a kind in North America. ), and The Effects of Formal Mentoring on the Retention Rates for First Year, Low Achieving Students (2005). 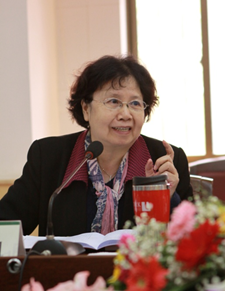 Professor Ye Lan has been a leading professor in East China Normal University (ECNU) for four decades, and currently serves as the honorary director of the Institute of Schooling Reform and Development (ISRD) in ECNU. She’s the founder of ISRD and Center on New Basic Education (CNBE). Professor Ye has originated New Basic Education (NBE) and Life•Practice pedagogy.